Hematite is a reddish-brown to silver-gray metallic mineral. Its chemical formula: Fe2O3. Hematite occurs as rhombohedral crystals, as reniform (kidney-shaped) crystals, or as fibrous aggregates in igneous, metamorphic, and sedimentary rocks. It is the most abundant ore of iron, and it is usually slightly magnetic. Hematite crystallizes in the rhombohedral lattice system, and it has the same crystal structure as ilmenite and corundum. Hematite and ilmenite form a complete solid solution at temperatures above 950 °C (1,740 °F). Hematite is made mainly of iron, which gives it its metallic sheen. 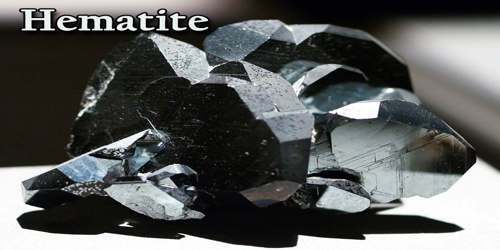 It also gives it an interesting quirk of naming although the hematite that we see in our daily lives is dark grey, its name comes from a Latin phrase meaning “blood stone.” Because, when it is found naturally, the iron content is covered in rust. Large ore bodies of hematite are usually of sedimentary origin, and it is widely distributed in sedimentary rocks as cement. High grade ore bodies can be found in metamorphic rocks as a result of contact metasomatism. Hematite is also as an accessory mineral in igneous rocks. The red colouring of soils all over the planet is due to hematite. In Ancient Rome, hematite was a popular stone for decorative purposes. Jewellery, weapons, and even armour decorated with hematite were traded widely. The dark colour was thought to be especially intimidating or protective. Huge deposits of hematite are found in banded iron formations. Gray hematite is typically found in places that can have still standing water or mineral hot springs, such as those in Yellowstone National Park in North America. The mineral can precipitate out of water and collect in layers at the bottom of a lake, spring, or other standing water. 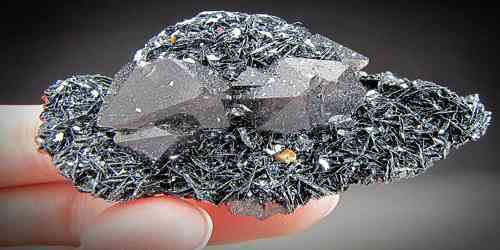 Hematite can also occur without water, however, usually as the result of volcanic activity. Large and thick crystals have been found in Minas Gerais, Brazil, particularly at Antonio Pereira, Congonhas de Campo, Jaguaracu, and Itabira. Lustrous plates with flat or tabular crystals come from Novo Horizonte and Brumado, Bahia, Brazil. Most of the tumbled, polished Hematite comes from Minas Gerais. Cumberland, in Cumbria, England, is a major source of Hematite specimens, especially the Specularite variety, as well as much of the globular and stalactitic specimens. Another classic occurrence is Rio Marina, on the island of Elba, Italy. The Cavradi Gorge in Tujetsch, Grischun, Switzerland is well-known for its outstanding and unique lustrous tabular Hematite crystals. Clay-sized hematite crystals can also occur as a secondary mineral formed by weathering processes in soil, and along with other iron oxides or oxyhydroxides such as goethite, is responsible for the red color of many tropical, ancient, or otherwise highly weathered soils. Morocco has also been a recent producer of fine collectible Hematite, with special note on Nador in the Nador Province, where excellent crystals and clusters have been found. The Wessels Mine in Hotazel, in the Kalahari manganese fields of South Africa has produced outstanding lustrous crystals including the rare prismatic forms. 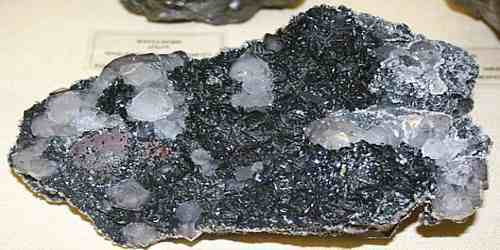 Hematites crystals occur in thin plates, as well as bundles of small micaceous plates, and in thin splinters. Most commonly massive, mammilary, botryoidal, reniform, oolitic, stalactitic, and radiating. Scalenohedral and rhombohedral crystals occur, as well as tabular and groups of tabular crystals. Crystals are often striated. Dendritic and rosette forms are also found. May form as a pseudomorph after other minerals, especially as octahedral crystals of Magnetite. Hematite is the principle ore of iron. Huge quantities are mined throughout the world for industrial production. It is the source for roughly 90 percent of all iron mined in the United States. Hematite was largely used in the past as a red and brown pigment, although nowadays cheaper sources have been substituted. Well formed Hematite crystals are popular among mineral collectors, and tumbled, highly lustrous Hematite from Brazil makes a very popular, inexpensive specimen for amateur collectors. 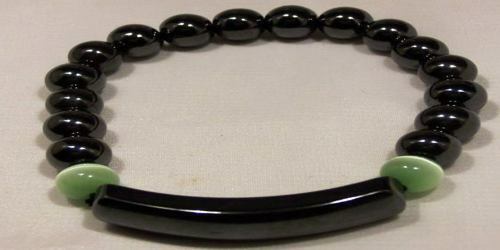 Hematite is also used as a minor gemstone. It is cut and polished into cabochons for jewelry and ornaments, fashioned into beads for bracelets and necklaces, and carved into ornamental figures. Hematite is also used in art such as in the creation of intaglio engraved gems. 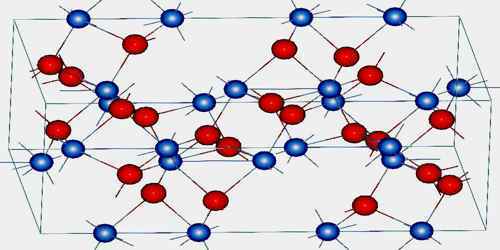 Hematine is a synthetic material sold as magnetic hematite.